I've always had a passion for food. When I was younger my Mother regularly entertained guests & family, from an early age I loved to potter in the kitchen and had my own baking cottage-industry. Those experiences laid the foundation for my career. I moved to Knysna; my services were enlisted to establish 5-star restaurants for Belvedere Manor and Falcon's View Manor; including the appointment of training facilities initiated by myself. Throughout my contract period I continued traveling and expanding my culinary expertise which influenced my style of cuisine and cookery. Most notably the districts of Champagne, Dijon, Provence and Bordeaux. Returning to Bloemfontein, my hometown - I opened a Boutique Guest House and Restaurant at Berghof. (historic and romantiThe Stables Restaurant (2001 - 2004) followed hot on its heels as a venture to expose trainees to the workings of an exclusive venue catering to discerning epicures. c ambiance) I established a solid reputation, earning accolades from prominent critiques. Once again my capacity for excellence and a desire to enrich the lives of others resulted in a decision to inaugurate a top-class training facility. Thus, Olive Chef School was brought into existence in 2000. Eat Out Magazine enlisted my services as contributing freelance critic and journo. I was also privileged to serve on the board which made recommendations for the 2009 Top 100 Restaurant selections. Traveling and gaining insight of influences and the great wealth of knowledge; techniques of food preparation and presentation from all over the planet is part of my very being and raison d' etre. I have taken journeys to Morocco, to learn about North-African cuisine. London in 2009 to experience the modern approach to techniques and food-styling. Paris; where time was spent taking in knowledge at the highly respected Guy Savoy Restaurant. Accolades resound for this establishment which is certainly one of the finest in the world. Identifying the need for a top shelf conference and premium events venue - we established Woodlands Function Venue in 2006. A shrewd business decision saw the amalgamation of Olives Chef's School in 2008 into the newly created amenities at Woodlands. A Journey of a Chef - it is my labour of love and a pet project which I have been nurturing and creating and perfecting over a period of time. I have maintained progression in the field of the culinary arts. My reputation is well known and I am firmly established in the trade after 25 years of dedicated perseverance. Matriculated at Oranje Meisie School in Bloemfontein, I enrolled at Silwood Kitchens, Cape Town, where I obtained my Silwood Grande Diploma. Taking a year thereafter to broaden my horizons I traveled northwards to England. I gained experience under a French Chef at Sankence Lodge, Norwich. I availed myself of a culinary tour of Greece and Turkey. An opportunity presented itself in the form of work & residence on a vineyard in Switzerland. My odyssey continued through Italy. Along the way taking every detail of their approach to preparing wholesome food; including the practice of using fresh ingredients procured from local markets. Returning to South Africa I began working at Vinkel-en-Koljander Restaurant, Lanzerac Estate (300 plated entrees a regular feature) Following that; I took up the position of Head Chef & Manager at "24" - where my repertoire included over-seeing banqueting, fine-dining as well as operations of Vinkel&Koljander Restaurant. 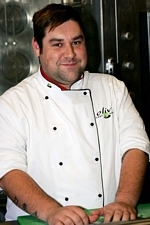 Began career in 2004; having a passion for cookery, I excelled in my apprenticeship at Olive Chef School. I soon caught the attention of my tutors as a result of my attentiveness and determination. By the end of my tuition I completed my Advanced Diploma in Culinary Art. During my second year in-service training I was commissioned to Lone Creek River Lodge 5-star, in Sabi Town. As well as Yum Restaurant with Dario de Angeli; was chosen as Top Chef of The Year. 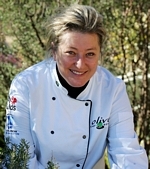 2006 I was elected to join Olive Chef School - where I became Assistant-Lecturer. My progress made an impression and in 2007 I was promoted to Soux Chef of Lecturing; General Cooking and Banqueting. In 2008 I continued to make inroads; I was appointed Head Chef - which incorporated running of the Chef School as well as banqueting. Maintaining growth and establishing a reputation for diversity I attended a comprehensive Pastry Training Course with Nicholas van der Walt. As well as conducting a tour of duty at The Greenhouse under Peter Templehof. Multi-talented and diverse - I excel especially in the areas of - Pastry Making, General Gourmet Food Preparation and am equipped with superb Administrative skills. Willing to explore and implement unusual combinations, techniques and flavours; I try to keep ahead of trends; whether savoury or sweet. My creative and unique approach is guaranteed to titillate the most serious gourmand. Attention to detail and use of fresh ingredients is the cornerstone of my success. 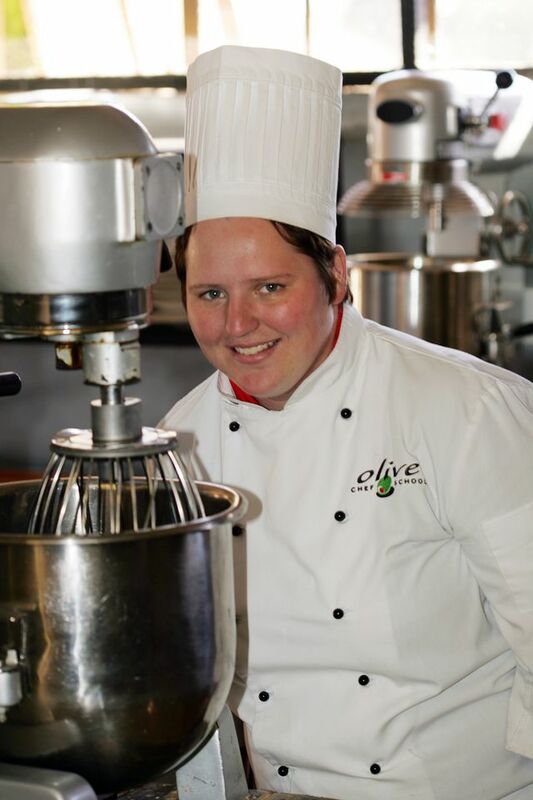 Under the guidance and nurturing by Gourmet and Executive Chef Rinette Enslin and running the kitchen operations for Olive Chef School and Woodlands, I have developed and evolved into a force to be reckoned with. Matriculated in 2008 from Oosterland High School in Secunda. For as long as I can remember I have had a love for food and cookery. My entry into the world of gastronomy began with my induction into Olive Chef School. On completion of my Advanced Diploma in Culinary Art I qualified in 2009. Thereafter stationed at Sirrocco, Drydock in Knysna for my in-service period during 2010. Devotion to the art of epicurism and an opportunity at my old academy lead to my appointment as Kitchen Manager and Chef de Partie in 2012 at Olive Chef School. As a Young Chef I take pride in my work quality. I am proficient and acknowledged for my consistent discipline in paperwork and control of stock-management, crucial in efficient catering. My actively functionary position in the Olive Chef School brigade is one I cherish.